When it opens Outlaw Run will be one wild roller coaster experience. 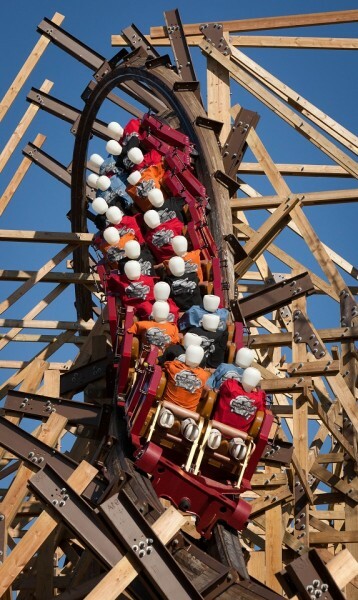 In fact Silver Dollar City is already testing the first-of-its-kind coaster, which is scheduled to open in just a few weeks with the 2013 season. Here’s a special sneak peak of one of the test runs. Outlaw Run marks the park’s biggest investment in a single ride in the past decade. The new $10 million ride sends passengers soaring through the Ozark Mountains on a ground-breaking wood coaster with a steel track that features several firsts. It will feature the world’s first and only double barrel roll on a wood coaster, with a 720-degree (double) barrel roll. 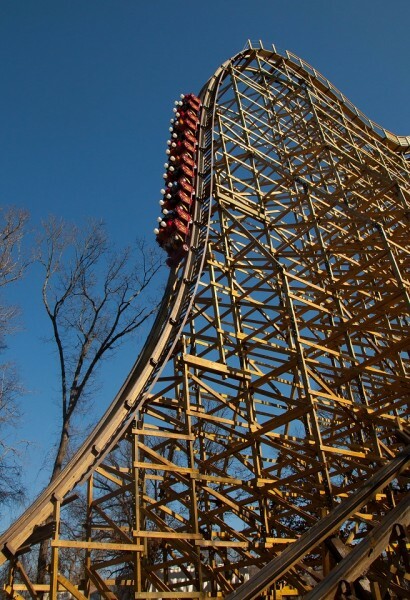 Here are a few more impressive facts: when it opens it will be: the only wood coaster to twist upside down three times; the world’s steepest wood coaster with a first drop of 162 feet (more than 16 stories) at 81 degrees – nearly vertical; and the second fastest wood coaster in the world, reaching a top speed of 68 miles per hour. Sign me up for a ride or two right now.